5 customers were able to try this promotional product before it sold out at 4:39 PM on December 30. 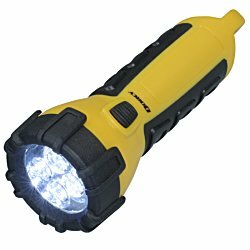 The regular, guaranteed lowest price on 25 of these flashlights would be $301 with set-up, SAVE just over $100! Grow your brand at the speed of light! 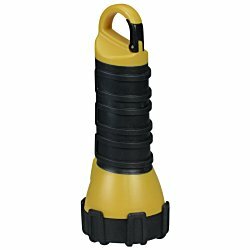 This Dorcy® Waterproof Floating Flashlight provides 200 lumens of light. Bright light features a beam distance of 67 meters. 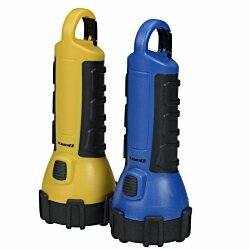 Waterproof flashlight is also designed to float when dropped in water. Features a durable, impact-resistant construction with shock-absorbing rubber. Large textured grip provides a comfortable, reliable hold. Designed with a built-in carabiner clip in the tail cap. Includes three replaceable AA batteries. Your price includes a one color imprint on the handle.